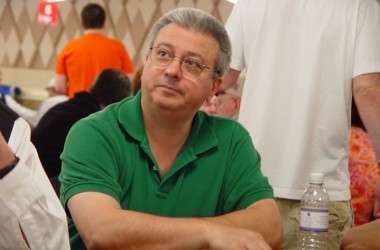 Another legend of the Vegas gambling scene crashed into ugly reality this week with news that Anargyros Karabourniotis, widely known as Archie Karas, was arrested on Tuesday at his Las Vegas home after being sought by California authorities. Those authorities were acting on behalf of the San Diego, CA-area Barona Casino, where officials have alleged that Karas was caught on security footage subtly marking cards at blackjack and thereby stealing roughly $8,000 from the Barona casino. Shocker one for a lot of people (notably, not those who knew Karas’s backstory) was that Karas was arrested for such a piddling little amount. Archie Karas, for those of you who don’t know, was the owner of a legendary gambling winning streak in blackjack called simply “The Run,” where he ran up a bankroll from the last $50 left in his pocket, when he drove into Vegas in 1992, to somewhere around $17 million by 1994. By mid-1995 he’d lost it all. Karas, like many other notable gamblers, had way-y-y-y too much gamble. For a good story on Archie Karas’s rise and fall, there’s nothing better than Michael Konik’s feature from the heyday of Karas’s run, “Tables of Dreams: With a Stake of Borrowed Money, Archie Karas Won a Fortune“. Many years later, Tom Sexton wrote a 473-part series on Archie Karas — okay I jest; it was only ten parts, but I was the copy editor on it and it seemed like 473 parts — which was essentially Konik’s piece retold and embellished. 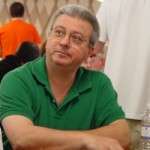 PokerWorks did a decent “Where are They Now?” piece on Karas. Somewhere along the line the $17 million was transformed into $40 million; the Wiki page on Karas lists that higher number, but it’s likely the $17 milly figure is accurate and the rest was gambler’s exaggeration. Nonetheless, “The Run” did happen. Shocker two in this latest addendum to Karas’s strange saga was that Karas has been arrested four times by Nevada gaming authorities for what may have been similar but unspecified transgressions. That little tidbit emerged today, courtesy of this San Diego ABC News report on Karas’s arrest. Between the combination of Karabourniotis’s long-term use of his “Archie Karas” gambling pseudonym and Nevada’s long-term reluctance to open up their court records to the internet, that story has been overlooked. But not any longer. According to the ABC News piece, “Karl Bennison of the Nevada agency said they have investigated Karabourniotis multiple times, and arrested him on four occasions. He described the defendant as a ‘threat to the gaming industry in many jurisdictions. '” Bennison is the chief of the Nevada Gaming Control Board’s Enforcement Division, so I’d trust what he said. And that makes Karas just another old gambling degen after all, forced to cheat, it seems, to make ends meet. It’s true also that there are opposites to the degenerate gambler’s rise and fall cycle. Case in point: Bobby Baldwin, who actually figures into the Karas story more closely than many people realize. 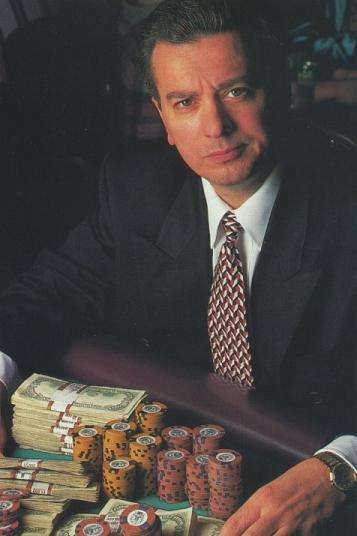 A lot of people know that Baldwin was among the many high-stakes poker pros who faced off against Karas at poker in the midst of Karas’s gambling run, but relatively fewer know that Baldwin was the unnamed gambler who faced off against Karas in an extended series of ultra-high-stakes pool matches (eight-ball and nine-ball), that spread across Vegas pool halls. Karas used to have friends drive him to those matches at various bars, tens of thousands of dollars wadded up into his wallet and pocket as he played. Typical Vegas, in its own way, then and now. Karas also kept a visual scrapbook of sorts of his exploits, and could supply one with several different casino publicity shots of him during his “Run,” such as the one at right. Funny thing about the Archie Karas saga. I actually got to know him, just a little bit. After Tom Sexton wrote his neverending 10-parter on Karas for his Sexton’s Corner column at PokerNews, things started to look up a little bit for Karas. Karas had been looking for a backer into some of the major tourneys for a long time, and after that print series, someone backed him into several events at that summer’s WSOP. I do not know who did the backing, though my gut hunch tells me it might have been Mike Sexton, the more famous of the Sexton boys. I don’t have any evidence of it, by the way; it’s just a strong feeling I’ve always had. Karas made the final table of a razz event and went deep a couple of other times, though I don’t think he turned a profit, and whether that backing deal continued the following year, when Karas did connect for a $50K tourney score, I couldn’t even guess. What I also remember was running into Archie myself, not once but several times, and chatting a bit during that ’08 WSOP. The longest such chat came one morning at the Gold Coast, nearby to the Rio. I lived at the Gold Coast for seven weeks that summer, and one morning down at the GC’s breakfast buffet, Archie and his wife sat down at the next table. He looked as he always did that summer, down on his luck but neat and clean in unassuming slacks and polo shirt. A lot of the old-time Vegas regs used the GC parking trick, leaving their cars in the shaded ramp there and crossing over to the WSOP; I figure Karas was among them, as I saw him hustling over more than once, and since he had a GC members card and clearly knew his way around that price-friendly buffet, it’s a safe bet he’d long since learned how to live Vegas life on the cheap. But that was then. Karas’s Hendon Mob page suggests he found a backer in 2009 and again for this year’s WSOP, though his “Run” days were long past, and his hyper-aggressive style — a lot like Ungar’s, back in the day — doesn’t play quite as well today. A check of deed records shows that Karas purchased an Antelope Valley home in greater Las Vegas in 2011 for $125,000, but most of whatever he’s done in recent years has been off the general gambling radar… and if the charges prove out, it’s a sad end to a classic gambler’s tale. The news reports assert the Karas could face up to three years if found guilty, and he’ll be 86’d by more casinos, if he hasn’t been already. That’s an inglorious way for the owner of the “Run” to end his official gambling days, but in some ways, it might have been an inevitable one as well.